(Newser) – A rule that would have offered consumers a powerful tool against financial institutions by allowing them to join together to sue saw its demise Tuesday night at the hands of Senate Republicans. The New York Times and Wall Street Journal report that, by a vote of 51 to 50 (with Vice President Pence as the tiebreaker), overturned a Consumer Financial Protection Bureau initiative started under former President Obama that would allow consumers to launch class-action lawsuits against banks and credit card companies instead of being pushed into private arbitration. 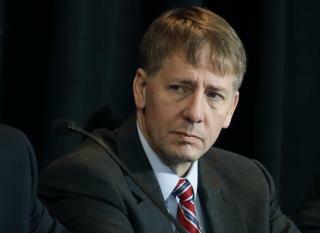 "Tonight's vote is a giant setback for every consumer in this country," CFPB Director Richard Cordray said in a statement, noting that big players like Wells Fargo and Equifax can now basically do as they please without fear of major customer pushback. Cordray added: "Wall Street won and ordinary people lost." By the CFPB's own data that these rules are based on, very few plaintiffs in class actions ever see a favorable resolution. Even less receive any compensation, and it's typically around $35. Compare that to arbitration which--again, by the CFPB's own accounting--averages over $5000. As others have already said .... trump promised to fight Wall Street F-ing you over .... seems that is another Mexican-Wall lie. Feel stupid YET trumpanzees? This is corporate fascism. Did you trumpanzees actually vote for this? In most other Western nations, consumer laws and watchdogs have large teeth. We just let rich men and corporations F us all over.